Specially designed for a budding pianist with a few extra hobbies thrown in to boot! 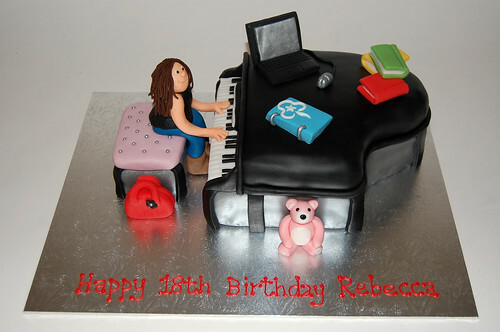 The Piano Cake – from £90. Thank you so much Mandy for the amazing Piano cake. You made my daughter’s 18th birthday very special.